Years ago, we realize that giving back not only helps change and improve our own corporate culture and create greater satisfaction for our employees, but done with purpose these CSR efforts can help change and improve the world. The ultimate goal of Miratech’s CSR program is to help engage and involve the global community with technology to make an impact, not only on the future of our industry, but also on the future of the world’s youth. The heart of our program begins with our partnership with the BrainBasket Foundation, a non-profit IT education company. Together we have launched Technology Nation Kids, a free IT educational program for children. 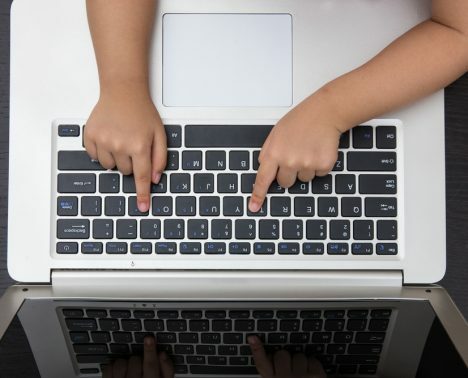 The goal is to create an alternative educational model in an effort to engage children and connect them with practical examples of how technology is used in our world... today and tomorrow. Our program has been recognized as an innovative approach to IT education and will deliver a positive impact to 1000’s of children worldwide. 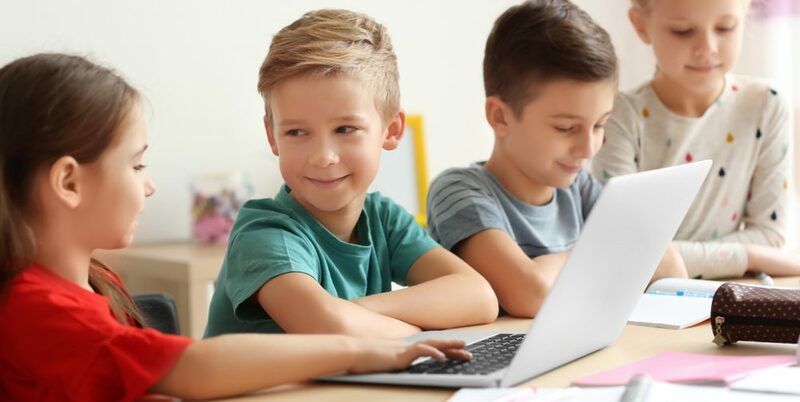 Making IT more accessible to schoolchildren helps them develop a deeper analytical thinking process, provide important tech skills to become future technology leaders in today’s rapidly-developing world. To accelerate our CSR program Miratech is building a global networks of partners, beginning with our education partner - The Academy of Coding, a non-profit organization comprised of IT volunteers who help teach children about programming using the visual language Scratch and HTML/CSS. Find out more about this impactful initiative here. In addition to our core program - Technology Nation Kids, Miratech also participates with Astarta, a public agro-industrial holdings company, and BrainBasket Foundation, to bring pilot educational projects to children and adults in small rural areas enabling residents of these towns to obtain basic IT/computer skills. The course organizers created the program to allow children to develop deeper analytical thinking skills, initiate interest in new technologies and instill the desire to pursue IT education in the future. For the adults the program is designed to help them better tackle their everyday computer needs and to develop their basic IT skills to open up new, more varied employment opportunities. Find out more about this exciting educational program here. 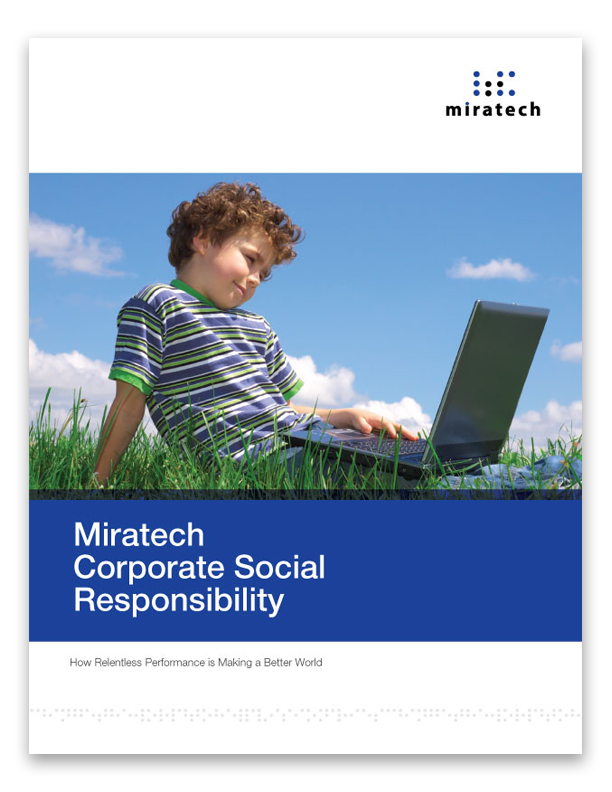 Along with the aforementioned programs, Miratech plans on launching many more initiatives that meet our CSR program objectives of extending technology to younger and far reaching communities. We are enabling more of the world to explore how technology can improve our daily lives. Miratech takes this important responsibility very seriously. Beyond the innovative work we do as a company, programs like the Technology Nation Kids and the grassroots educational work we’re doing with Astarta and BrainBasket represent our investment in the future growth of IT globally. Miratech is excited and eager to continue embracing this active CSR strategy and strengthening our commitment to investing in impactful initiatives. We are thankful and grateful that our talented and dedicated team members serve as the foundation of our efforts. With their commitment and efforts to build upon we will be able to affect hundreds of thousands of people worldwide. We share the essential values of our global community, including honesty, integrity, and doing unto others as you would have them do unto you. As part of our company mission to help visionaries change the world, we have instilled our commitment to Corporate Social Responsibility into our culture.